Wait on Anderson to make his mark? Brazilian can overtake Arnautovic as West Ham's key man in FPL but should managers consider holding out? 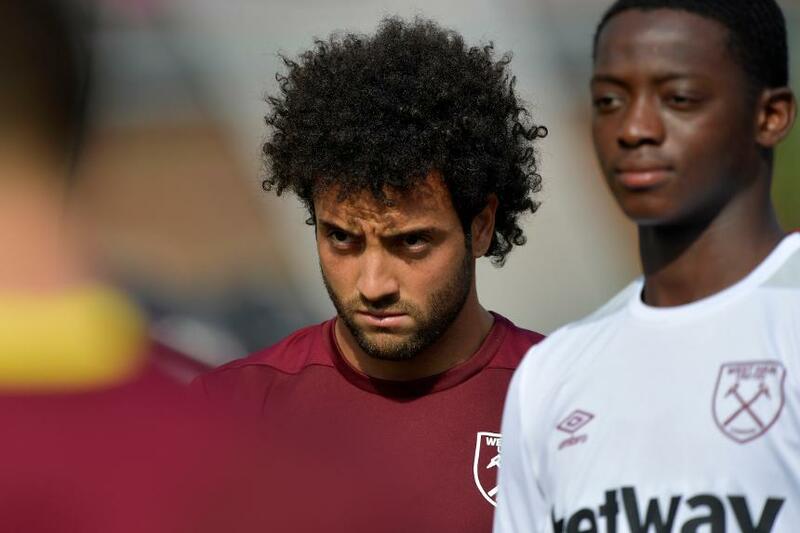 Felipe Anderson's arrival at West Ham United could have a major impact on the plans of Fantasy Premier League managers. Anderson (£7.0m) produced four goals and seven assists in 21 league matches for Lazio last season. He had 26 shots and created 38 chances in 1,151 minutes of an injury-hit campaign. The Brazilian also got three goals and three assists in only seven UEFA Europa League appearances last term. Anderson is expected to occupy a role on the wing in a 4-2-3-1 formation under new manager Manuel Pellegrini. The arrival of Anderson, Yarmolenko and Wilshere as attacking midfielders gives a strong indication that Pellegrini plans to play Marko Arnautovic (£7.0m) up front this season. The Austrian has been reclassified from a midfielder to a forward in FPL after producing 11 goals and seven assists while playing as a striker in 2017/18. That has persuaded 23.9 per cent of managers to select him in their squads, making him the fifth-most bought forward. But it is Anderson who has the all-round ability to emerge as West Ham's standout FPL pick. His 77 completed dribbles in Serie A last season was ranked eighth overall, despite not playing until mid-December due to injury. And his 21 successful tackles almost matched the combined total of Yarmolenko and Wilshere, who managed 12 and 10 respectively. That will boost his prospects in the Bonus Points System (BPS), which decides how bonus points are awarded. Completed dribbles and successful tackles are vital statistics in the BPS, so whenever he produces a goal or an assist, Anderson looks well placed to pick up extra points. But there is a downside to acquiring West Ham players early on. They have a tough opening schedule. Only one of their first 11 matches scores less than three in the Fixture Difficulty Ranking (FDR). As a result, only 4.7 per cent of Fantasy managers have bought Anderson. But at the same price as Arnautovic, he can be a big differential in Pellegrini's new-look attack, especially when the fixtures ease in November.